Perfect for any commercial dining setting, this Regency wall mounted hand sink with T&S automatic faucet is a versatile unit that cleans hands thoroughly and efficiently. Hands-free operation is possible thanks to a built-in infrared sensor that detects the user's presence and will immediately turn on a water supply that's pre-mixed at a desired temperature. This unique feature allows for unparalleled convenience, as well as increased sanitation measures for your employees and operation as a whole. 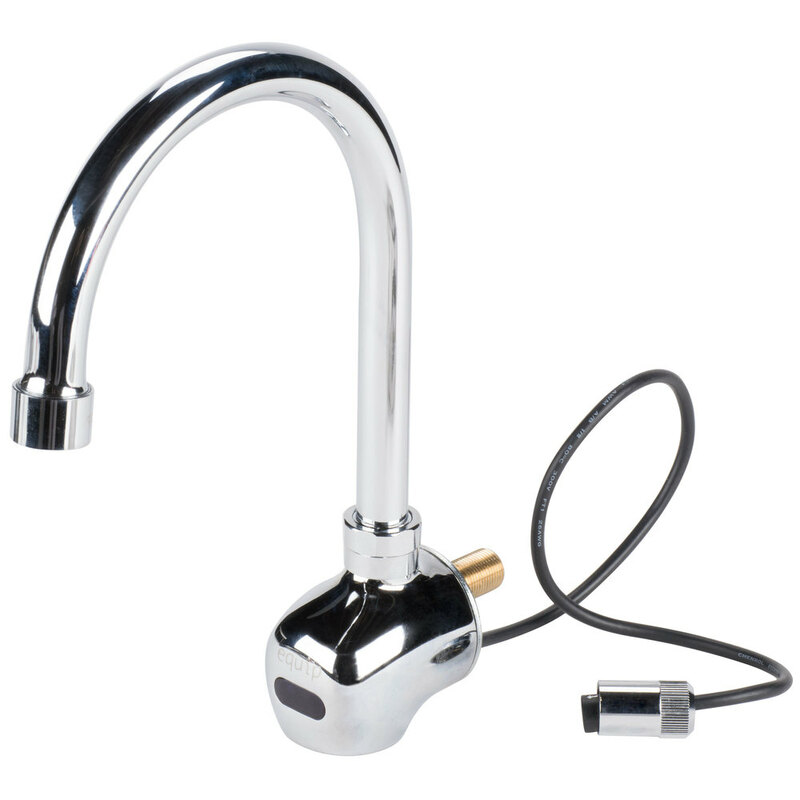 This sink boasts a 10 3/4'' standard electronic gooseneck faucet that comes splash-mounted, along with a spout, solenoids, and all the required hardware for installation. All sinks have a large, liberal radius with minimum dimensions of 2'' and are rectangular in design for increased capacity. For greater stability and increased installation ease, a keyhole wall mount bracket can be found on the unit's rear. 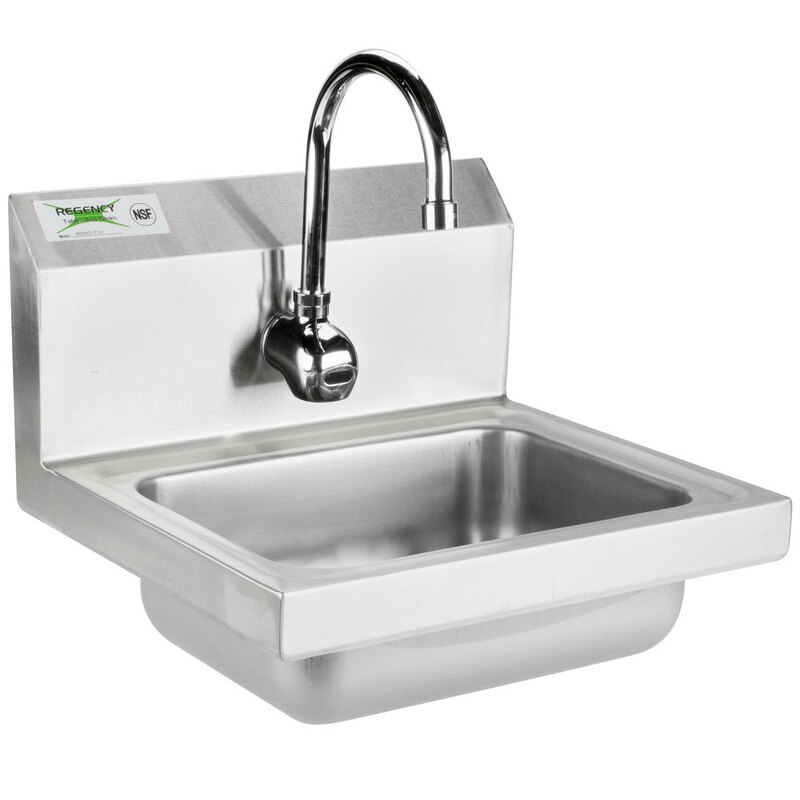 20 gauge stainless steel construction adds extended durability, while also making the sink easy to clean. 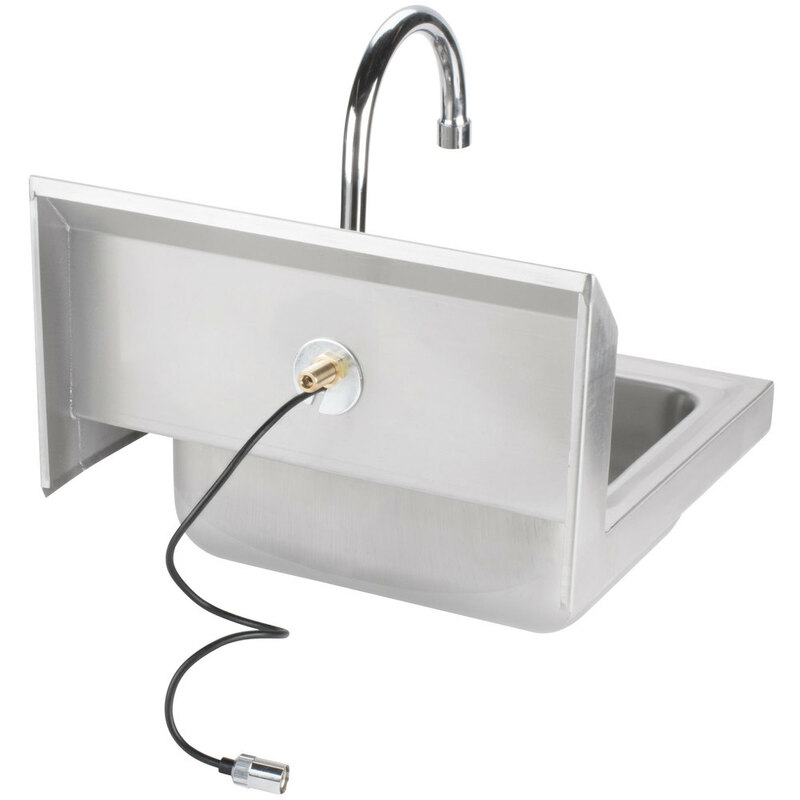 The Regency wall mounted hand sink with T&S automatic faucet includes a drain basket and 84'' long power cord with adapter. This unit operates on a 120V electrical connection or with (4) AA batteries.